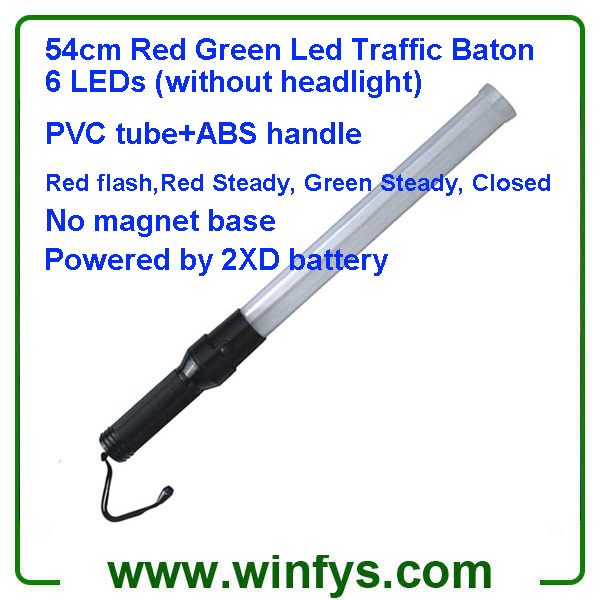 This super bright compact & lightweight 54ccm red green led traffic batons is effective at over 500 meters and has a remarkable duration lighting and flashling due to its use of high efficiency LED. It is Ideal for all police, rescue, safety and industrial personnel and widely used in directing traffic on parking lots, airports, camping activities,sports events at stadium or school and more. It provides great visibility under dark, rain, fog,snow and other bad weather conditions. 9. Wihout headlight , without magnet. Traffic Control, Construction Site, Emergency, Climbing & Camping Contact.